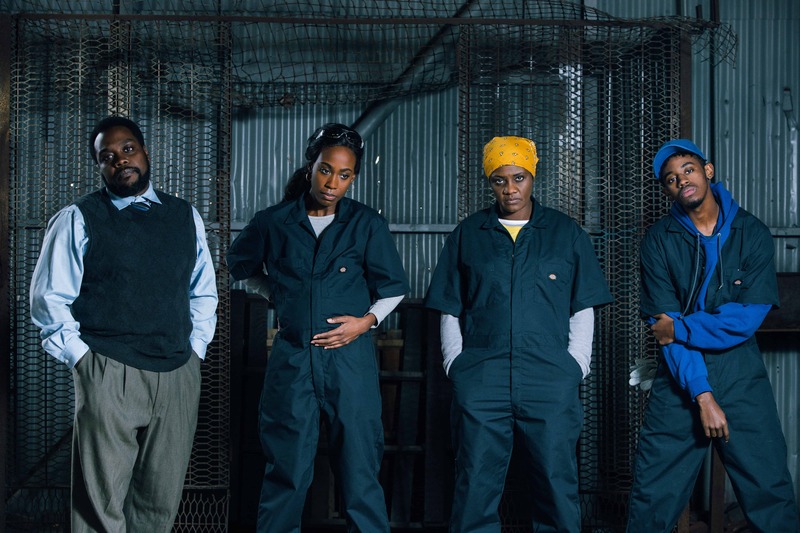 Artistic Director Kenny Leon and True Colors Theatre Company are thrilled to present Dominique Morisseau’s Skeleton Crew beginning this February. Part of Morisseau’s The Detroit Project trilogy, Skeleton Crew is an insightful drama about the value of work to workers and what happens when their livelihoods are threatened by layoffs. Set in 2008’s Great Recession, Skeleton Crew tells the story of factory workers at the last auto stamping plant in Detroit and their uncertainty as rumors of their plant’s imminent closing stir. Jamil Jude, True Colors’ Associate Artistic Director, returns to the director’s chair after a successful run of August Wilson’s King Hedley II last spring. Dez, Shanita, Faye, and Reggie are a makeshift “work-family”. Dez and Shanita are young people at the start of their careers who hope to make good on their dreams before the opportunity passes. Faye has worked at the plant for over 29 years but the retirement package looks a lot better for those who reach 30 years. Reggie, their manager, is stuck holding the company line – he wants to prepare his team for the plant’s closing but upper management requires his silence. Each must balance their own desires, their loyalty to one another, and their survival with the need for meaningful work. “Dominique’s writing is profound,” shared director Jamil Jude. “Her voice is a blend of the beautiful poetry of the greatest writers of the diaspora and the laser-focused social critique of the modern age. She creates worlds with her specificity that honor her hometown of Detroit while giving everyone, regardless of their upbringing, something to chew on.” Jamil added, “It’s a joy to bring the words of one of America’s best living writers back to the True Colors stage,” referencing the 2015 production of Morisseau’s Detroit ’67, the second installment of Morisseau’s The Detroit Project trilogy. Skeleton Crew is the third play in the trilogy; True Colors will produce Paradise Blue, the first work in the trilogy, next season. Playwright Morisseau received a McArthur “Genius” Grant in October of 2018 and was recognized as one of the top 20 most-produced playwrights in the 2018 – 19 season by American Theatre magazine. This production contains adult language and simulated smoking.